The Asia Pacific Poker Tour (APPT) will head to Korea and the Philippines for two glittering events, PokerStars has announced. 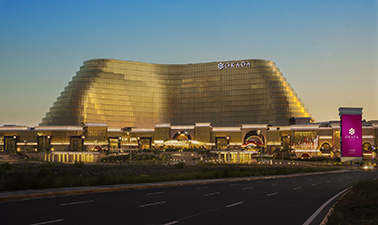 PokerStars LIVE at Okada Manila will be officially opened with a ribbon cutting session plus food and drink for players on February 9 at 6pm during the first ever Okada Manila Millions. The Millions tournament will take place from February 5 to 10, featuring 13 events including the PHP 2,500 buy-in Main Event with PHP 2 million guaranteed and PHP 500,000 guaranteed for first place running from February 6 to 10, and the PHP 3,000 buy-in NLH Deepstack kick-starting the event with PHP 200,000 guaranteed. Following on from the Okada Manila Millions, the Manila Megastack 11 will head to the PokerStars LIVE Manila poker room in the Coral Wing of Okada Manila. There will be PHP 17 million guaranteed across the entire event, which runs from March 1 to 10. The PHP33,000 buy-in Main Event will have PHP 10 million guaranteed, with the PHP 12,000 buy-in Kick Off event and PHP 55,000 NLH Freezeout events guaranteeing PHP 3 million, and the PHP 20,000 Saturday Superstack guaranteeing PHP 1 million.